Welcome to the Pack 6 Public Website! Our Pack is for Boys and Girls from Kindergarden through 5th Grade. Learn more about Cub Scouts below or click on Our Pack or How to Join Us. What is Cub Scouting all about? Check Out This Video! 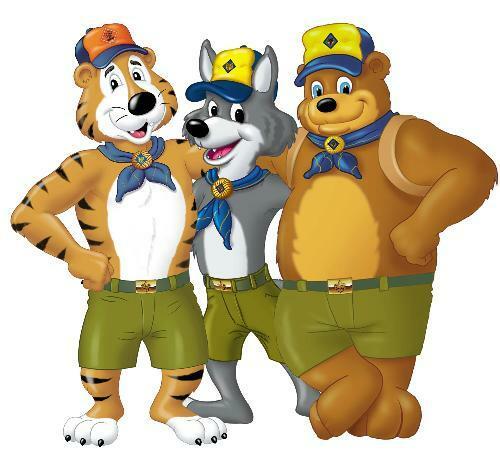 Cub Scouting is a program for all boys and girls in kindergarden through fifth grade. Scouting Works! Watch this two minute YouTube video of a recent national study! Scouting Works! In Cub Scouting, children and their families have fun and adventure in a program that builds character and instills values. Cub Scouting embraces the values of the Scout Law, encouraging Scouts to be trustworthy, loyal, helpful, courteous, kind, obedient, cheerful, thrifty, brave, clean, and reverent. These values come to children in all parts of the Cub Scout program - all while they're having a great time with their friends and families. To maintain such an environment, the BSA developed numerous procedural and leadership selection policies and provides parents and leaders with resources. The following links provide additional information.